This week was my first full week back at work after taking a couple weeks off for Christmas. It was hard to get back into it, especially because I dove head first into busy season, but I think I got back into a good a rhythm of “real life” by the end of the week. (1) Monday was a work day, but I couldn’t quite get out of vacation mode yet! 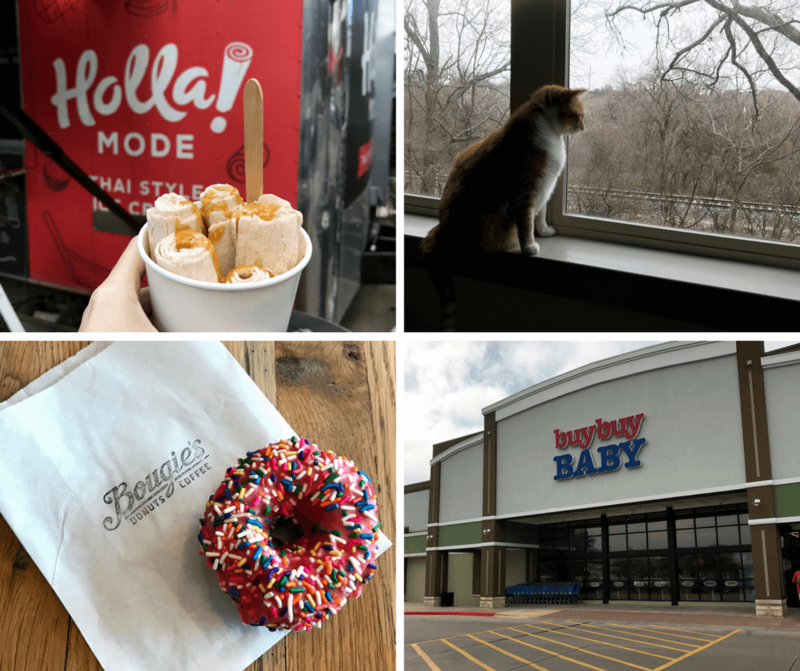 We went to check out the Holla! Mode truck that had been on our list for a long time. They serve Thai-style rolled ice cream, which I’d never had before. I had a vanilla one with honey and graham cracker, and it was delicious! (3) Our main treat on Saturday was a stop at Bougie’s Donuts. This strawberry iced sprinkle donut was just what I was craving! (4) The majority of our weekend was spent thinking about our baby registry. We haven’t even started adding items to a registry yet, but we decided where we are going to register and started researching some of the main big ticket items. I realized we had entered an entirely new phase of life when I noticed my husband watching YouTube videos about strollers and newborn must-haves and that these types of things are what we talked about pretty much all weekend! Going to Mattie’s for dinner on Friday after a long week. It is an adorable restaurant in an old farmhouse about five minutes from where we live. I’m not sure why we hadn’t gone to this restaurant before! My favorite food items we ordered were the biscuits and our sweet cream ice cream with fruit and shortbread crumbles, but our whole meal was fantastic. A double date out to Lockhart on Saturday with our friends for BBQ and a stop at Daniel’s friend’s art studio grand opening party. It was a really fun, different experience! I always love going and exploring the small Hill Country towns around us. After church on Sunday and before heading to Target for more baby registry research, we went to Tiny Boxwood’s for brunch. It was another wonderful meal! The original location is in Houston, and my friend Kaitlin told me how great it was, so I’m glad that we were finally able to make it to the Austin location. We think we picked our nursery theme to be woodland creatures with a blue/green/gray color scheme! 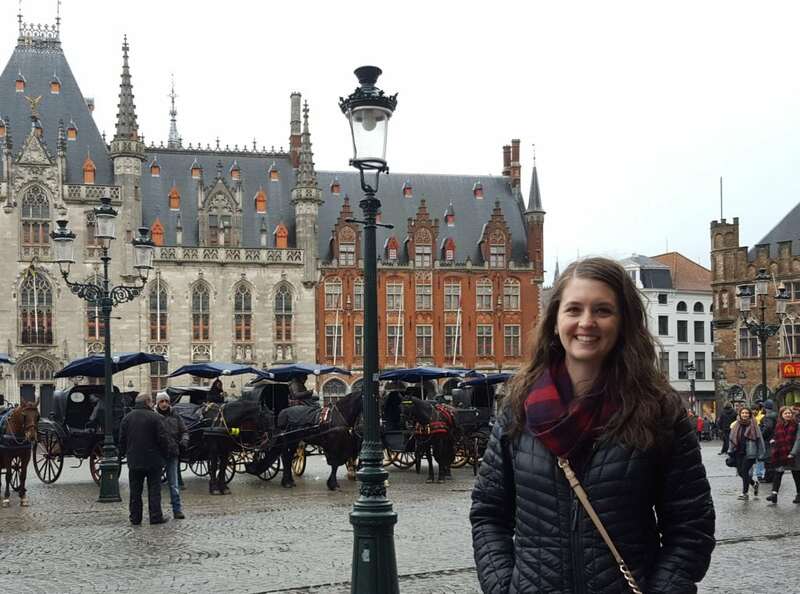 I shared the itinerary and a map of our stops on our Western Europe backpacking trip. This post has links to all of my travel guides for each city, and I hope it can be used to help plan out both big backpacking trips like ours or shorter trips within each of the individual countries.